Welcome to the second entry in our “Working with Us” series. 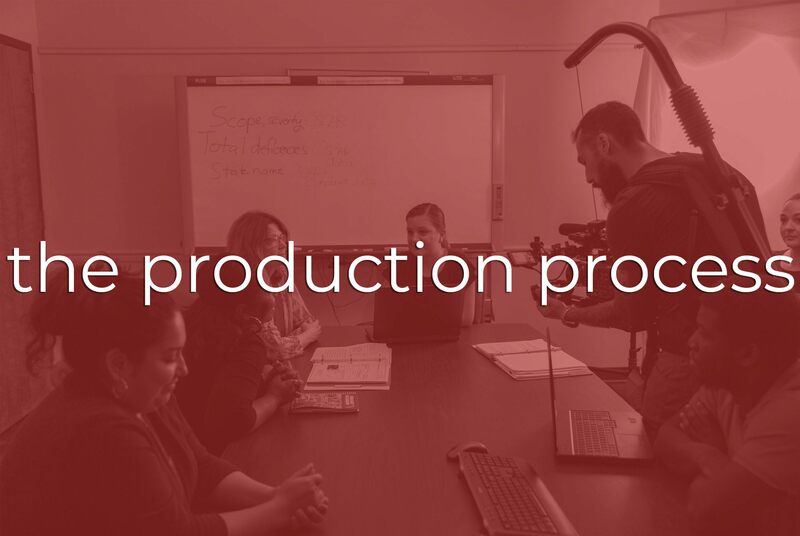 In this entry, we discuss what we do in the production phase of a project. This is the phase after pre-production, where we actually capture the photo or video footage. Of course, the production time will vary based on the type of project. We have broken down our productions based on the project, but understand that these are just averages. Each project is unique in its own way. Narrative film is a way for us to really express our creativity. We have produced several projects, from short films to web series. In the pre-production phase, we discussed how projects like these come together. In the production phase, every one of us have a role in its creation. Kevin will command the technical aspect of the production, overseeing lighting, sound, and camera. He works very well with Eric, who focuses on the directing aspect. Technically the director, Eric will convey context to actors; their mood and actions that bring the story to life. Brittany will work in a supervisory position, like a unit production manager. She focuses on keeping everyone to their schedule. 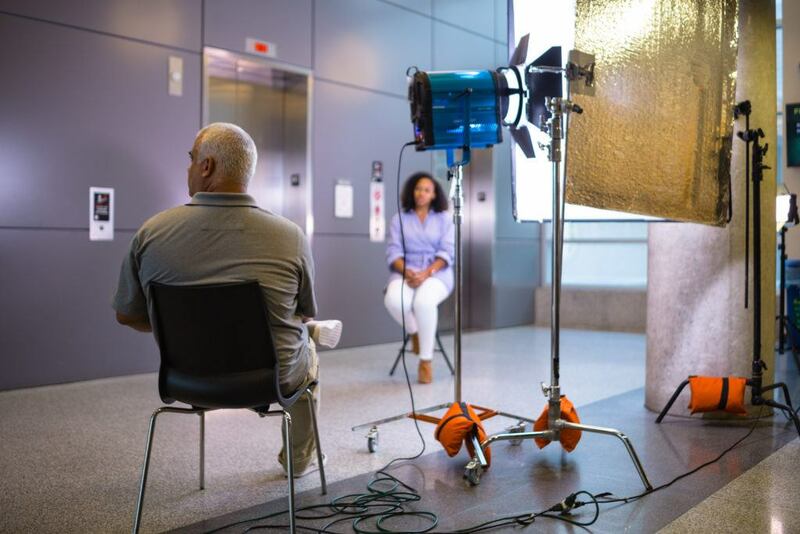 For projects like these, it’s important to have the right cast and crew, and with the connections we have established here at Two Stories Media, we are proud of the narrative films we have helped create. Designing a TV commercial spot for clients has been a new venture here at Two Stories Media. In the past, we have shot footage for use in a TV spot or as a web advertisement. However, we have recently begun full production of commercial spots, for companies like Cobra Electronics, Ride Scoozy, and USF. 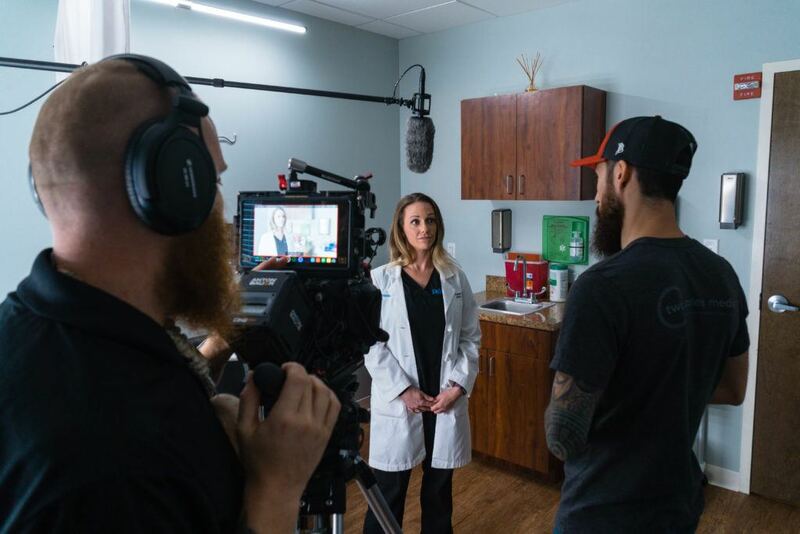 We can shoot in locations that emphasize the products or services clients want to advertise, offering character narratives (telling a story while selling the product), or as voiced-over narration. Two Stories Media have produced several music videos over the years. These projects really come alive in our post production phase, but production is where the crucial pieces are created. First, we try to focus on a storyline that the band may want, but also have plenty of shots of the artists (groups and individuals). When creating the ideas, the intent is on paying attention to the little details that really make the story come out. We work diligently with the artist to convey the meaning behind the song and bring that to life visually. Creativity thrives off a team effort which can be seen in the final product. We love being involved in our community, and there is no better way we show this than when we cover events. Whether it’s the American Heart Association Heart Ball or Tee It Up for Troops’ Annual Reunion Event, we strive to capture and recap the importance of the event and its impact on the community. Stay tuned for our next and final blog post in the series, the post-production process!